HUGE SALE GOING ON NOW!!! 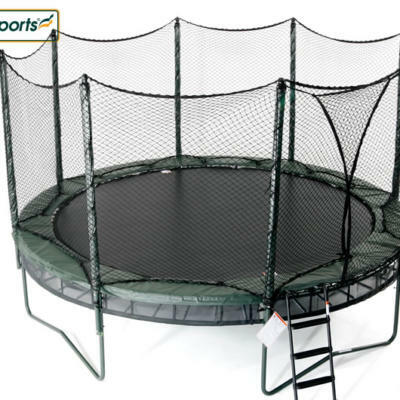 WE WILL BEAT OR MATCH ANY PRICE ON A COMPARABLE PLAYSET, BASKETBALL GOAL OR TRAMPOLINE! Other models and in store specials may be available at the showroom. 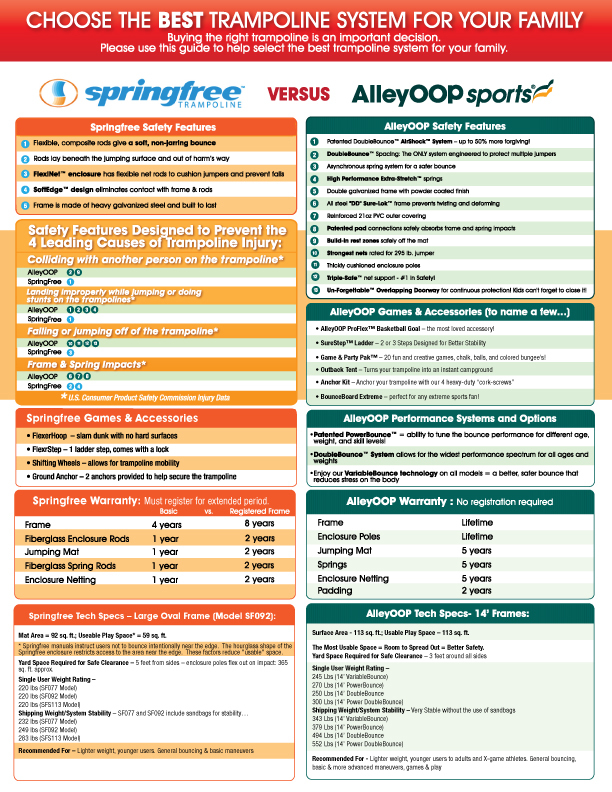 USAPlay is the authorized factory direct seller for JumpSport Elite and AlleyOop trampolines. Our strong relationship with the company assures that you will get the best price anywhere. Our local ownership assures that you will get the best service from order to installation as well. 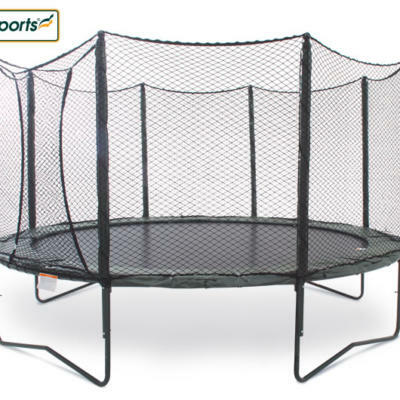 These products are simply the strongest and safest trampolines on the market. Thick Trampoline Spring Pad for Safety: Our higher density closed cell foam is 1.5″ thick for AlleyOOP from edge to edge and 1″ thick at the frame tapering to 1/2″ for JumpSport. Thin Frame/Spring Pad: Average foam thickness across pad is less than 0.65″ thick, with just 1/2″ foam over 65% of the pad surface. 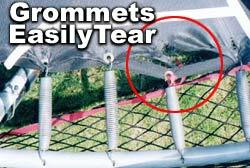 WARNING: Some manufacturers use inexpensive grommets that puncture and tear through the mat fabric during installation. The trampoline mat will likely begin to tear apart in the first year and most likely fail within two years! 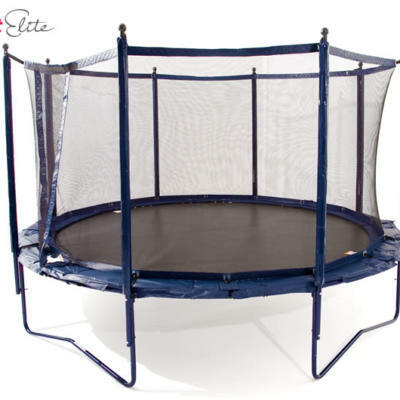 These are simply the strongest and safest trampolines on the market. 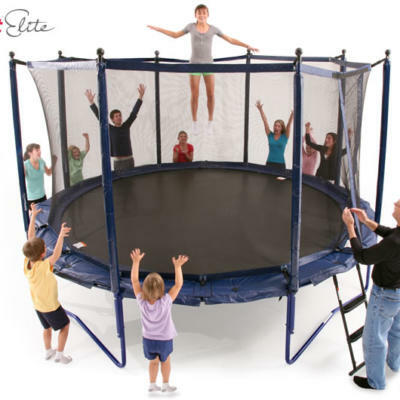 They come with a lifetime warranty and will last much longer than the trampolines that you can purchase at a big seller. Most of those have a 1 – 5 year warranty versus the lifetime warranty on the AO brand. Trampoline warranties are just like car warranties. You know what happens when your car warranty expires. It starts falling apart. 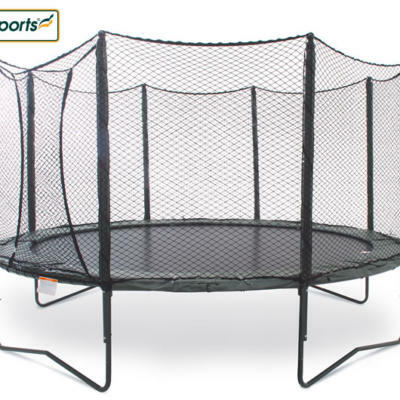 It is the same way with trampolines so buy one that will last a lifetime. 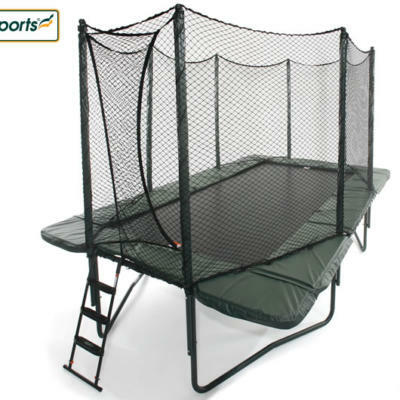 This trampoline also has the exclusive net closure on the outside of the poles which allows for a greater play area. 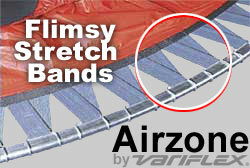 If you are looking for a high quality, these are the right trampolines. The frames that are made of jet black powder coated 14 gage steel have a fifteen year warranty. The competition’s weaker frames quickly fatigue and rust. Our mats have ten row stitching with UV protection versus the competition that only has four rows.